Let me tell you- I have been to those chic swanky je je pa pa la la la spas for their ritzy imperial “Swedish massages” whatever that is.. And hello obviously it feels good. A 3 year old could press his palms into my back and that would probably feel good too, but skip the cucumbers on your eyes and aroma therapeutic massage oil for a THAI Massage. Earlier this year after hovering over my computer for countless hours in the dungeon like school library I knew I needed a good old deep tissue massage. However- being a college student and having to pay for everything on my own I didn’t quite have the funds to go “extravagant” and just toss over a hundred fifty for an hour of pleasure SO I scoured the internet for the next best thing in my price range. Just so happened to come across this place called Pho-Siam Thai Spa. NOT ONLY do they have the BEST massages in town… but they are only $50 for an hour. Honestly since my finding in January I have been here at least a dozen times. After my long, brain-cell killing finals in may, I legitimately remember leaving my class, walking to my car (with a smile on my face), and dialing up my one and only Pho-Siam for a massage in about 20 minutes. Yes, it was the first thing I did. You know how most spas you have to make an appointment a week in advance then you end up waiting, as it is once you get there? NOT Pho-Siam. They are super flexible with appointment times and the minute you get there your masseuse is standing at the bottom of the stairs waiting for you. Heaven. Oh wait, I completely left out the fact that a 1-hour massage is like a daylong tune up on your car. Literally you will come out feeling like you have new body parts. The first time I went… and every other time, the ladies are able to get out massage knots in my back I didn’t even know I had. Long story short you will go in strained, stressed and tense and come out like a tenderized piece of meat. 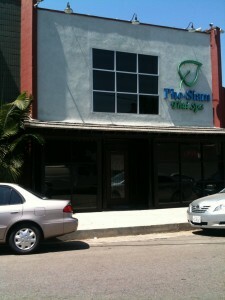 If you are even within an hour drive of downtown LA I am telling you this is 100% worth your time, gas and greens. 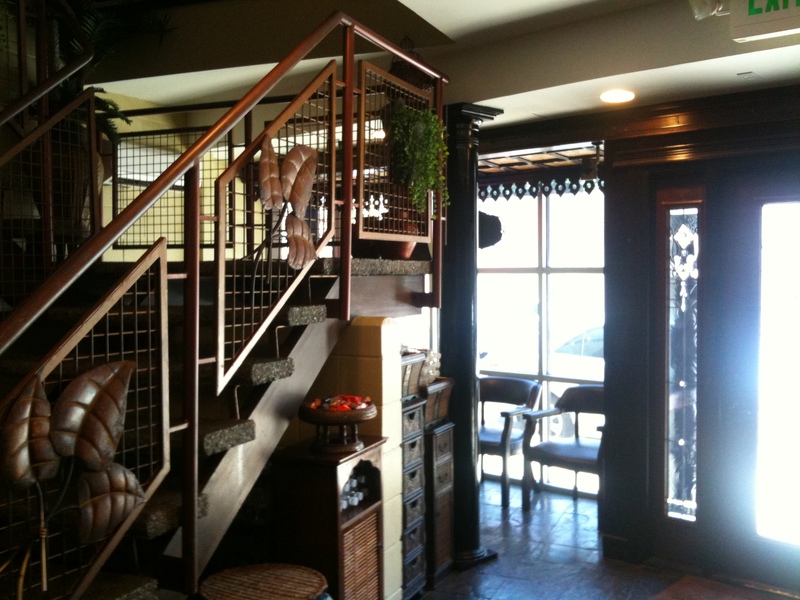 Right where your masseuse will wait for you at Pho Siam Thai Spa! **If you are not near LA and would like to experience a Thai Massage, I would recommend checking out Yelp in your area. The key is to reading the reviews written by the people that have visited the place. Also you can enter keywords at the top- so for this you could type in “cheap Thai massage” and it will bring you the best results. GOOD LUCK!